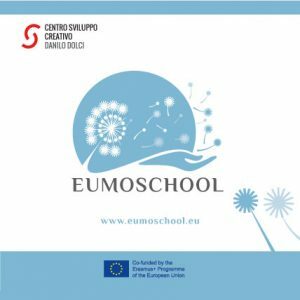 The EUMOSCHOOL project aims to; develop, test and implement a new coherent methodology and innovative curricula of emotional education within school environments involving 6 countries (Italy, UK, Hungary, Romania, Turkey and Austria) and new contexts, to provide an effective intervention model to reduce the phenomenon of Early School Leaving (ESL). EUMOSCHOOL will develop innovative curricula, educational methods and training to meet the increasing needs of the educational staff and pupils, aged 6 to 16 years old. The project is based on the adaptation at EU level of the Italian methodology “Didattica delle Emozioni”© (Didactic of Emotions, DoE), developed from 16 years of experience and investigation into emotional education. The methodology has been successfully tested on 3000 teachers, students, parents and tutors, in order to improve the wellbeing & transversal key competencies of pupils thus reducing ESL whilst upgrading professional competencies of teachers & pedagogical staff. EUMOSCHOOL will aim to spread the adapted methodology to a wide range of students, teachers, staff and schools through implementing emotional education into school curricula. To contribute to effective ESL strategies through the integration of emotional education intervention methodology in school curricula for all students, impacting on the reduction of ESL. Through emotional education, foster development and assessment of transversal skills and competences among students to develop well-being and diminish emotional discomfort and associated risk factors. Increase the professional skills of teachers and practitioners by equipping them with an accessible ESL intervention methodology, utilized through an Online Educational Resource (OER) combined with practical techniques and assessment tools, adapted for classroom learning at any level. Support holistic collaborative approaches to teaching through networking and events to promote dialogue with stakeholders in school education across Europe. Exchange good practice to address and support children and young people at risk of ESL and disadvantage. 30 schools / 500 teachers / 30 headmasters / 30 policy makers, 450 stakeholders from across all partner countries (Italy, Hungary, Romania, Turkey and Austria), transferring good practice at a systemic level. Comparative Research Report: stating the educational context and system in each partner country. Primary research on the schools and teachers’ needs regarding prevention of ESL & emotional education. Eumoschool OER: a self-learning OER adapted from Didacticts of Emotions for teachers, accessed via Moodle (moodle.org). Interactive Guidelines: to implement Eumoschool as a holistic approach to ESL. Policy Recommendations: to guide policy-makers and other relevant school stakeholders in their ESL strategies at a local, national and European level.